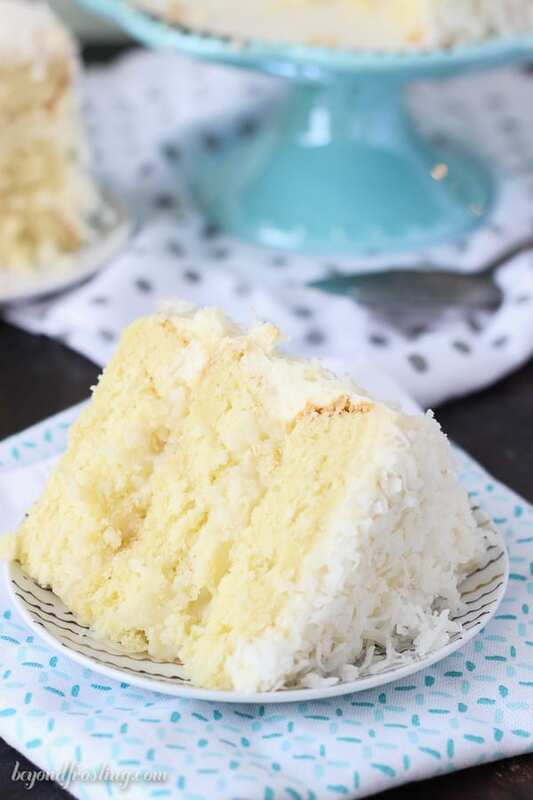 This Coconut Custard Cake is layers of coconut cake, with a coconut custard filling and finished with a cream cheese icing. Skip to the recipe or read more about the Blog N Bake Retreat! As I sit here typing this, I’ve got a numb tongue and a fat lip. Cookbooks should come with a warning, as in, you might get a cavity. All that extra sugar really added up and I had to get a cavity filled. Major bummer. I pride myself of my healthy teeth. My dentist really is the best, and he saw me through my tears like a champ. I definitely don’t wanna be having another one of those for a while! 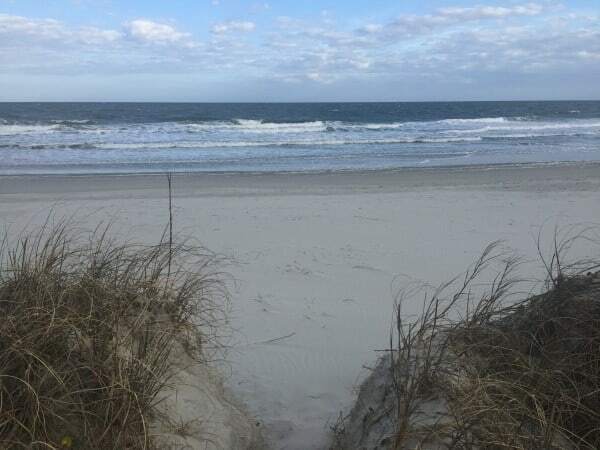 I finally have time to share the details of my trip to Myrtle Beach earlier this month. I am fortunate enough to be able to get away with my blogging friends every few months. 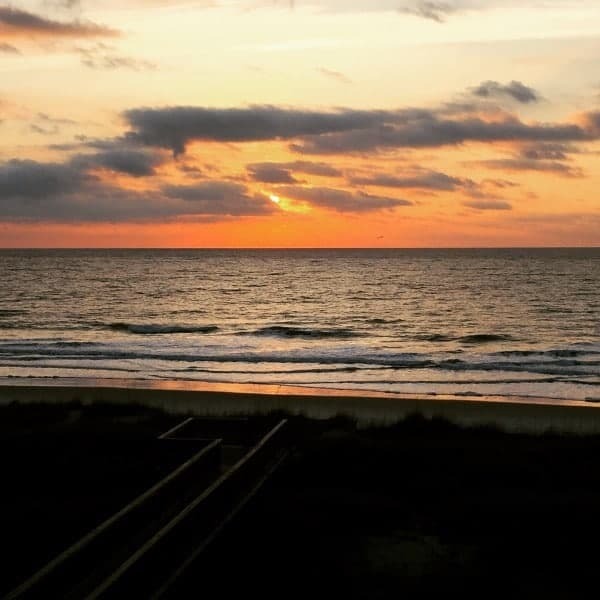 This time, my travels took me across country to Myrtle Beach. My trip started off a little rocky because the night before my trip I realized I booked my tickets for the wrong day. This was an issue because I planned to fly into Atlanta so I could road trip with Lindsay to Myrtle Beach. It works out for the both of us. She drives while I sleep. Luckily United hooked me up with a flight for the next day. Phew! 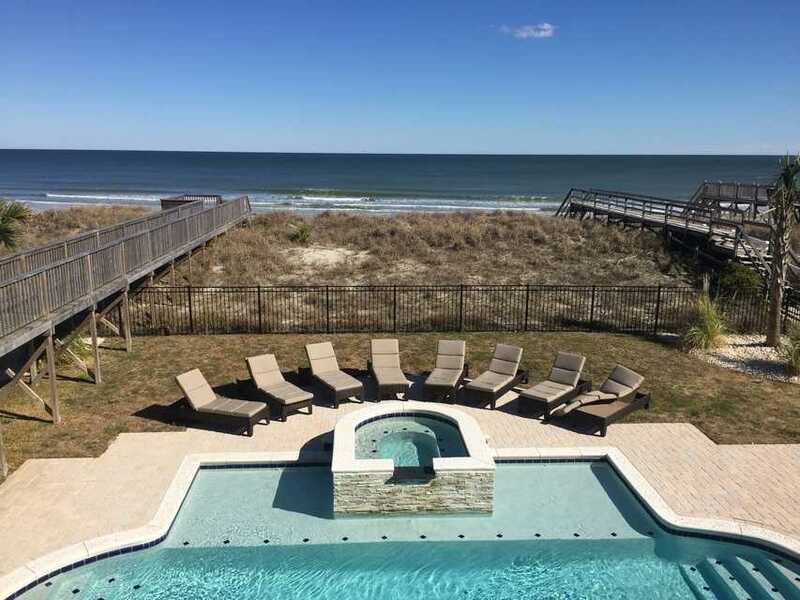 We arrived to our palace in Myrtle Beach and declared we were never leaving again. 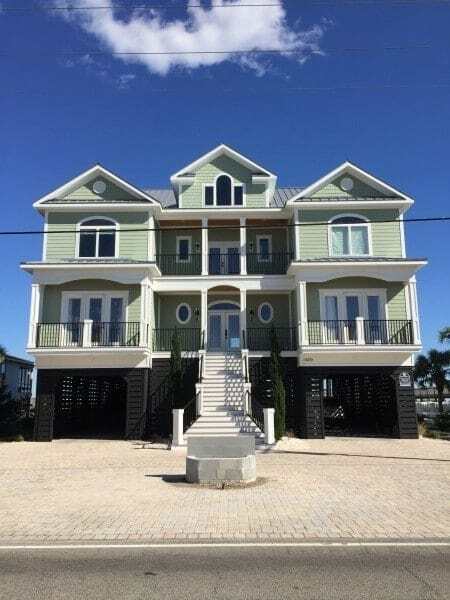 This 4 story mansion had 8 bedrooms, a movie theater, a pool, a hot tub and the kitchen of my DREAMS. Did I mention it was beachfront? Oh, and it has an elevator! We were so fortunate that our house was taken care of by Dixie Crystals (AKA Imperial Sugar). It was the most relaxing time. We spent time on focus group sessions where we all had a chance to share our experience, lend a hand of support and come up with strategies to move forward. It was a particularly difficult weekend for me with some stuff going on back home, and I was very fortunate to be surrounded but such lady bosses. It is incredible to see how we have each built our own businesses and carved out a space for ourselves on the Internet. 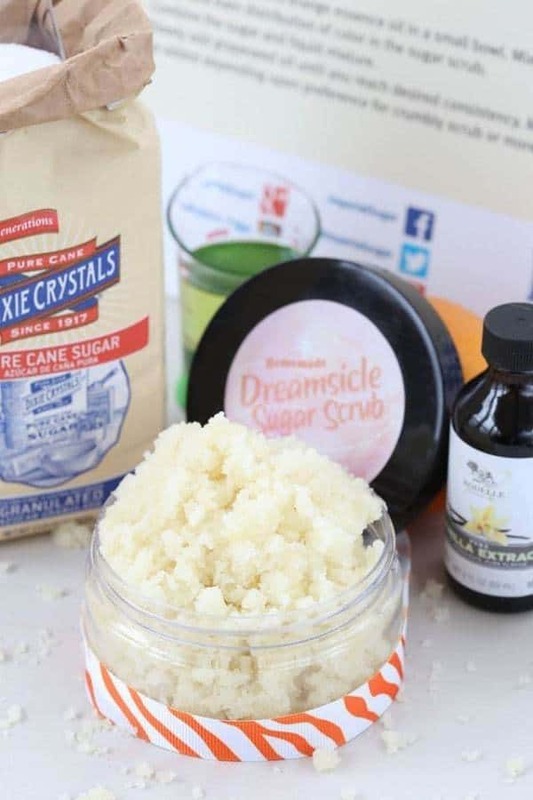 Dixie Crystals was kind enough to send us all the fixings for some homemade sugar scrubs. I’ve never done this before but it was actually SO easy! They smell incredible, my favorite was the Dreamsicle scrub, until I found out there was mint chocolate! Perhaps the best part of the trip was sharing time in the kitchen (especially because we had two dishwashers- can we say dreams?). 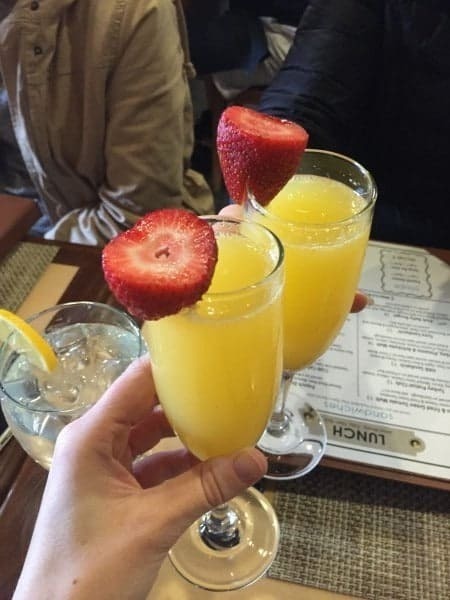 I chowed down on omelets, baked french toast and fresh fruit smoothies every morning. I could seriously get used to this. Safest Choice made sure we had more than enough eggs for our trip! We all had the opportunity to share a recipe from our blogs. Lindsay, Roxana and I were all in charge of desserts. I shared my Bourbon Salted Caramel Cookies. You can never go wrong with those. Rodelle was kind enough to stock our pantry with flavored extracts, cocoa powder and and my favorite, vanilla beans! Thankfully I got to take some of these bad boys home, and I can’t wait to bake with them. 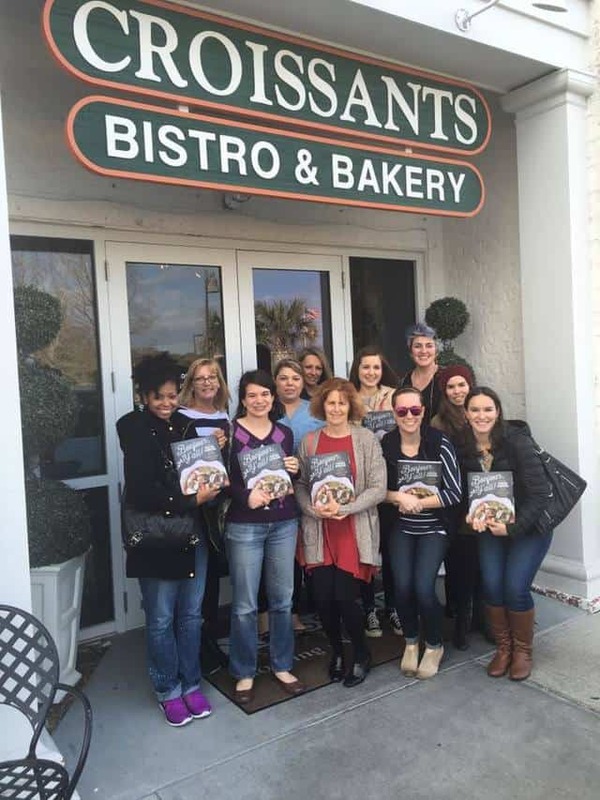 During our trip, we got the chance to try some local eats at Croissants Bakery. 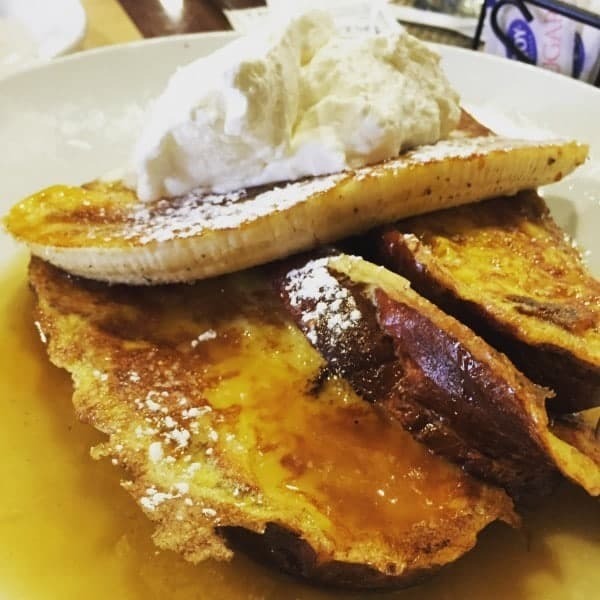 I wanted one of everything on the menu, but finally I narrowed it down to a sandwich and a Banana Fosters French Toast (to share of course). Everyone’s meal looks seriously amazing, but as soon as I wrapped up lunch I was ready for dessert. The display case was filled to the top with cakes and pastries. Roxana and I settled on four different cakes to pass around: Triple Chocolate Mousse Cake, Raspberry Cake, Key Lime Pie and this Coconut Custard Cake. Heidi, the owner of Croissant Bakery also wrote a wonderful cookbook, and I am sharing this Coconut Custard Cake with you today. 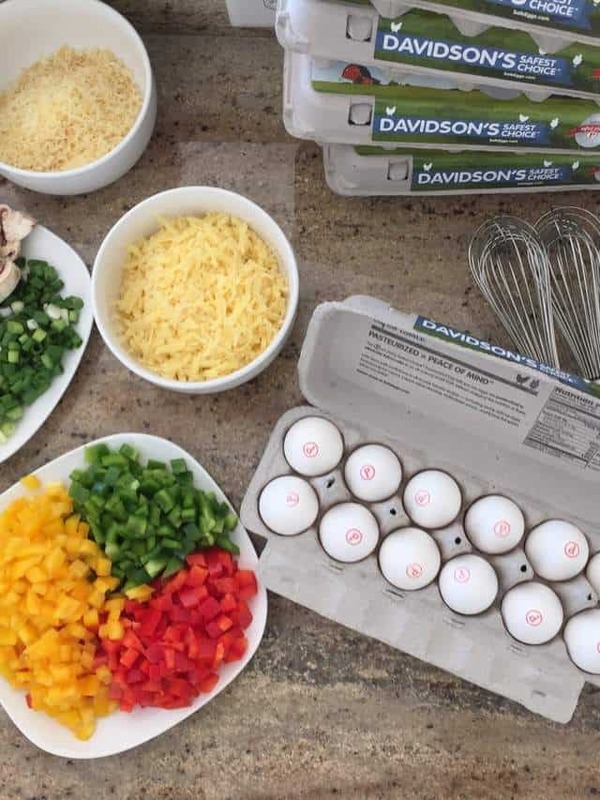 Our retreat would not have been possible without the support of our sponsors, Dixie Crystal, Safest Choice Eggs and Rodelle Vanilla. Not only did they provide us with our house, but they also provided us with products, all of our food and some extra fun stuff along the way. 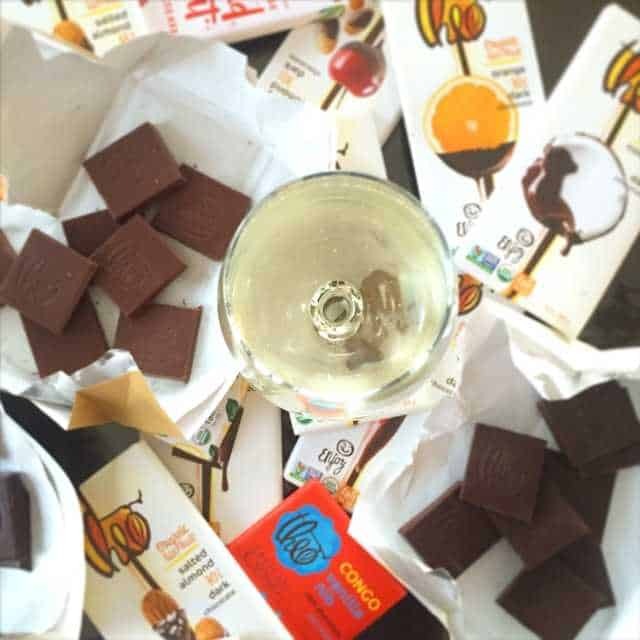 We ended our trip with a Theo chocolate and wine pairing. I couldn’t think of a better way to end it. When our retreat was finally over, Lindsay and I drove back to Atlanta. I had just one more day left. 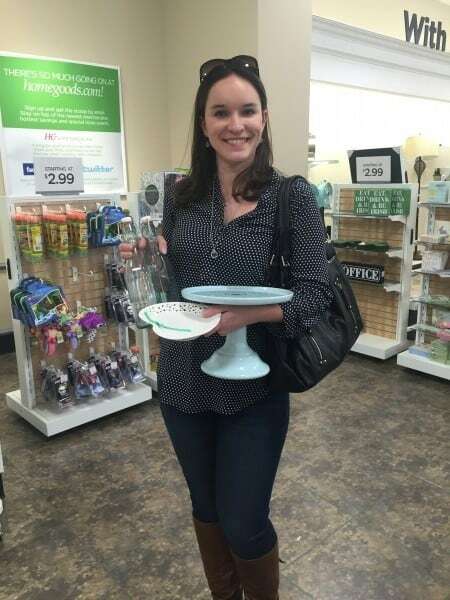 On the way home, we managed to find a Home Goods, where Lindsay’s cake stand addiction really came to life. The next morning, we managed to get donuts, I watched her shoot a cake for her cookbook and then I went to town to organize the office. Not only am I the planner in this relationship, but I am also the organizer. Next time, I’ll tackle her pantry. 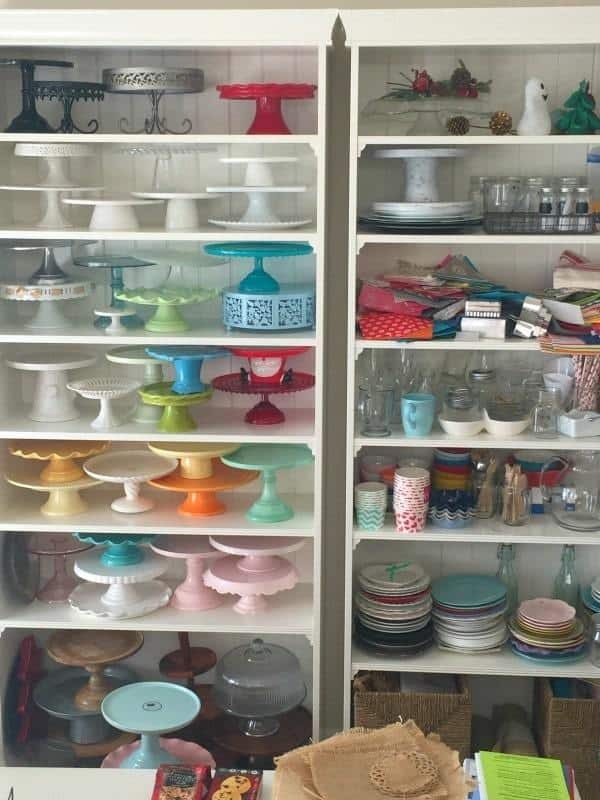 Her cake stands though, I’m so jealous. Last year when I was here, she only had one shelf. So enough about my trip, let’s talk about this cake for a minute shall we? This is one cake I couldn’t stop eating! Even after stuffing my face for lunch, I had plenty of room left. 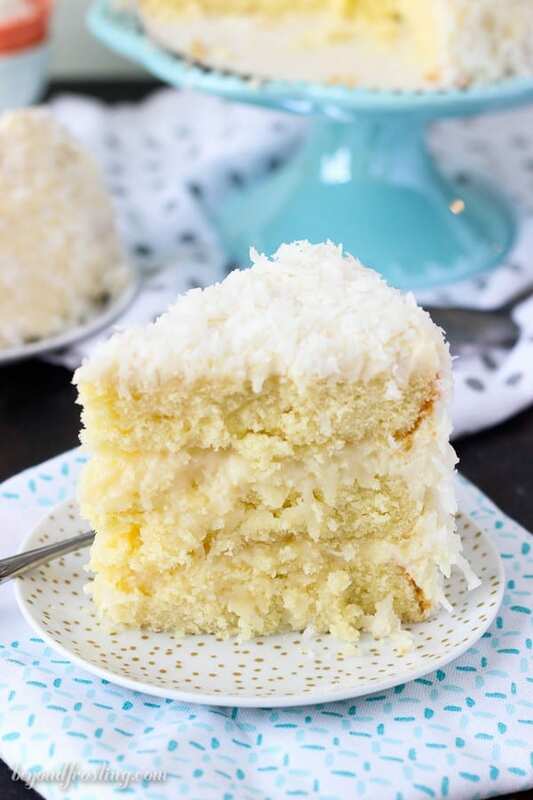 The cake itself is a dense, coconut flavored cake made with coconut cream and a hint of coconut rum. I only had Coconut Milk instead of cream and I only had plain rum instead of coconut rum. So instead, I added 1 teaspoon of coconut extract However, I left the original recipe in place from the cookbook. One thing you should be sure not to substitute is the cake flour. Pick yourself up a box, use it for this recipe and then use it as another excuse to make more cake. The filling is a simple coconut custard, and feel free to just eat it with spoon. When I pulled it off the stove, it was thick but still a liquid consistency. As it cooled it thicken to the point where I could spread it with a knife. I actually refrigerated it over night before I used it. In order to spread it nicely, I let it sit out for about 15 minutes before using it. The original cake is 4 layers. 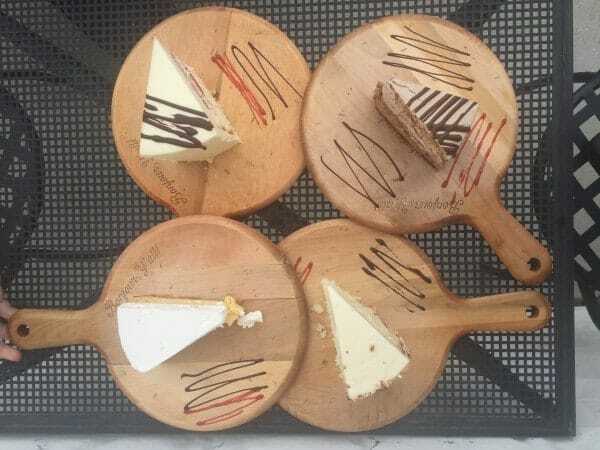 It is two 9-inch cakes split in half. I decided to use three 8-inch pans instead. So I had a little bit of leftover filling and frosting. When it comes time to frost the cake, you’ll be making a traditional cream cheese frosting, but you will not need a lot of powdered sugar. 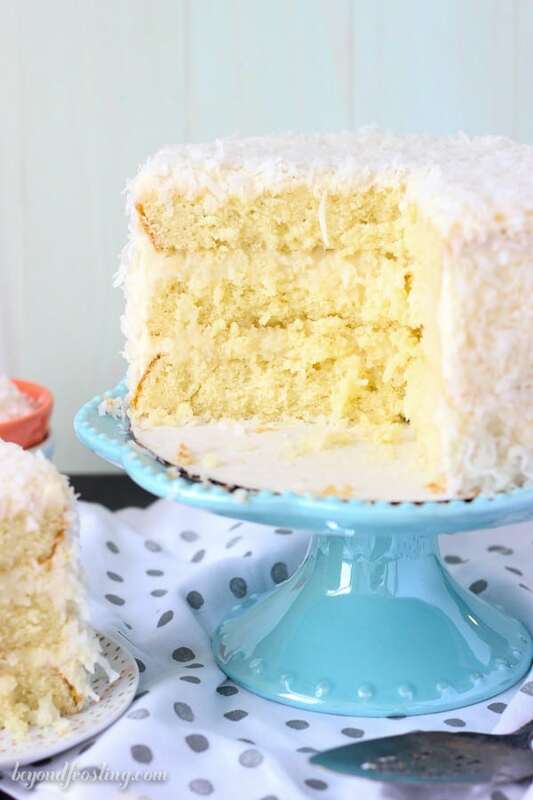 Once you have the cake coated in frosting, use your hands to pat the coconut onto the sides and top of the cake. I shared this cake with my dad when he was visiting earlier this month. He’s not much of a coconut fan, but he just about licked the plate clean. That should tell you something. I made this for the first time today and it was incredible! The cake is super light and flavorful! Thank you! Awesome Jennifer!! This one is always so popular, I think I need to make it again soon! 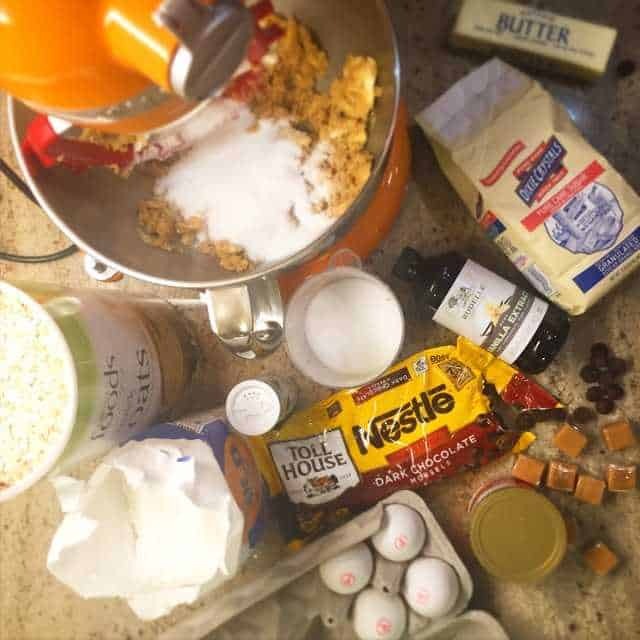 What could you substitute the what’s for in this recipe? My husband has an egg allergy. Hi Brandy, I am sorry I am not familiar with baking with egg substitutes. I know I’m gonna love this cake but I just took the cakes out of the oven and they fell. Any thoughts on why? I followed the recipe as written. I used canned coconut milk like you did. Would that be a reason? I’ll post a pic on IG when it’s finished but thought you might be able to problem solve with me! Thx. 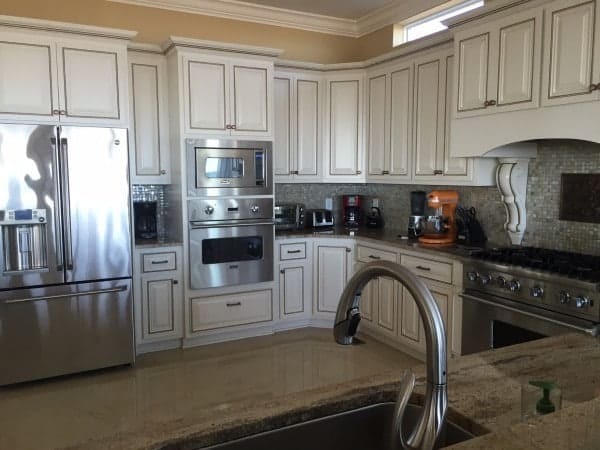 Hi Kimm, it’s hard for my to say, but a couple of reasons could be oven temperature was off, leveling agent was not fresh, eggs were over beaten, or simply, the cake wasn’t quite done in the middle before it set. 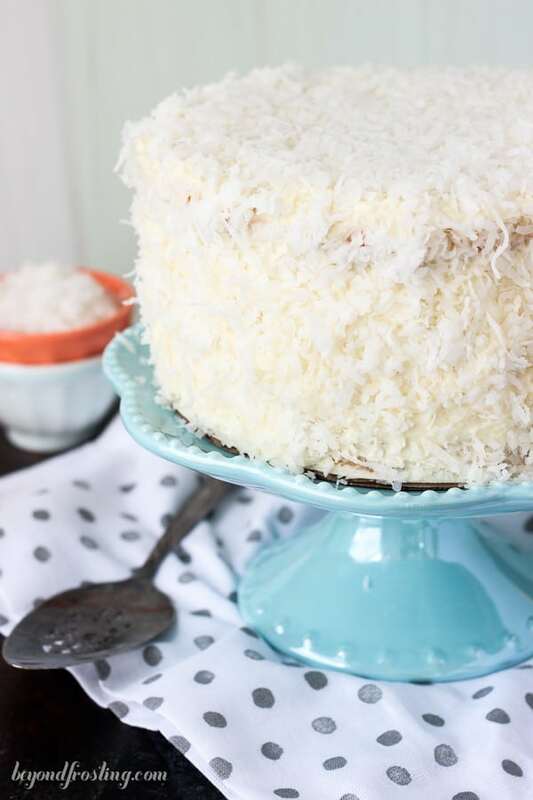 I’ve been looking for the perfect coconut cake, and this is it! It is so tender that I had trouble keeping it together when taking the layers from the pans! I did use about 3-4 T of heavy whipping cream in the frosting and whipped it well, to soft peak stage. Next time I will double the recipe and make it in 2 oblong pans – this one is going to go fast! Awesome Teresa! I am glad you enjoyed! I would like to make a coconut custard pie. Could I double the filling recipe for an 8″ pie? Hi Debbie, I am not sure how to answer this because I have not done it for myself. Can’t wait to make this cake this weekend! Does it have to be kept in the fridge or can I keep it out in my Tupperware Cakekeeper? Hi Cyndi, I do recommend refrigerating this cake but allow it to sit on the counter for 20-30 minutes before serving. Made this cake yesterday. Omitted the rum, and used a 13 x 9 sheet pan. Used the leftover batter in a small loaf pan to make a cake for myself. (One for them, and one for me!) 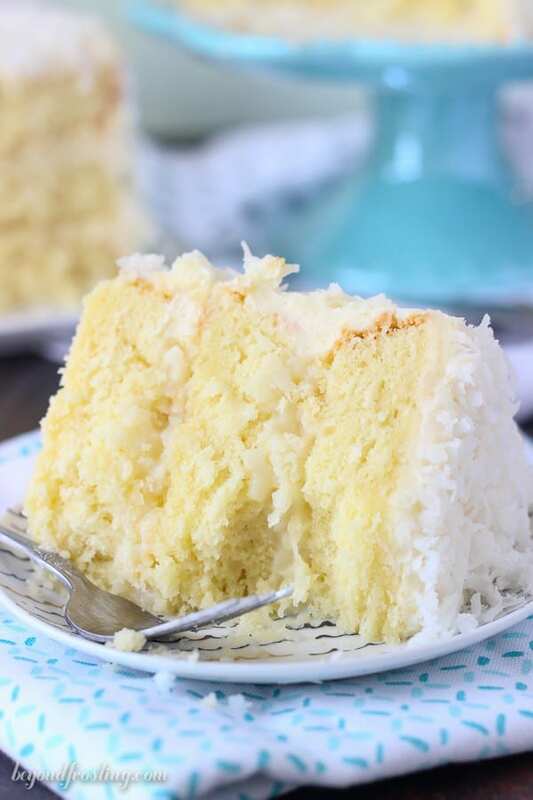 Hands down best coconut cake I’ve ever tasted! More trouble that I usually take, but so worth it. Love coconut. Awesome Lauren! I am so glad you enjoyed it!! I too am confused about the cream when it says divided and then didn’t tell you how much to divide and when to use it. I want to make this cake but want it to be perfect as all the ingredients it has I don’t want to waste them because of my ignorance !!! Hi Betty, in the instructions under “For the filling” step 10 says to use 1 tablespoon of the heavy whipping cream with the corn starch. Then step 11 said to use the remaining heavy cream. So everything except the 1 tablespoon you added with the corn starch. Enjoy!